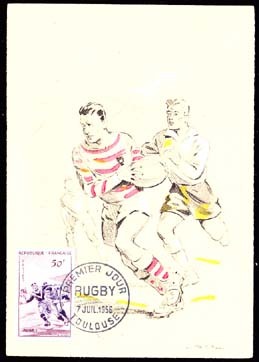 73211 MAX FRANCE (1956) Rugby players*. Maximum card with First Day cancel. Scott No 803, Yvert No 1074. 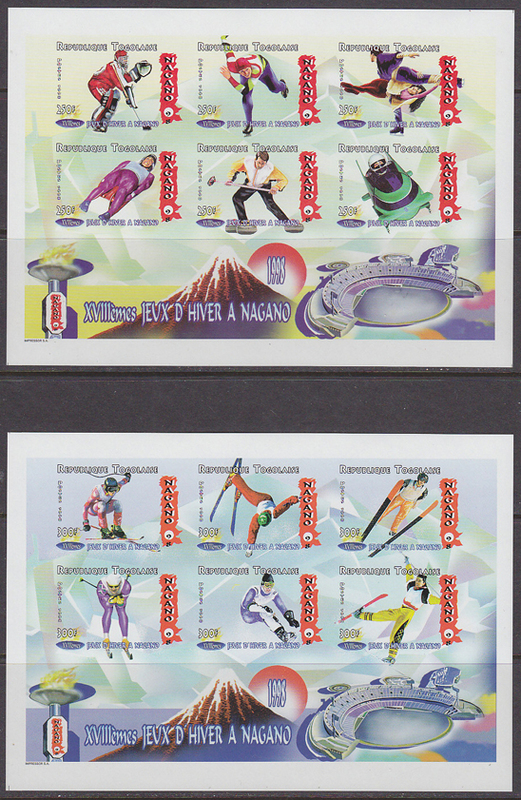 75057 ND TOGO (1998) Nagano Olympics. Set of 2 imperforate mini-sheets of 6. Scott Nos 1835-6.